The gardens are open Monday to Friday, 10am - 4pm, 1st May to 30th September. Tickets £5.00 at the estate office. The manor house is not open to the general public, but it is open for exclusive, private group tours of 15 people or more (pre-booked in advance). Head to the Historic Houses website: www.historichouses.org/tours. Scroll down to ‘View Full Price Tours by Region’. Under South-West England’ click the ‘Explore’ button. 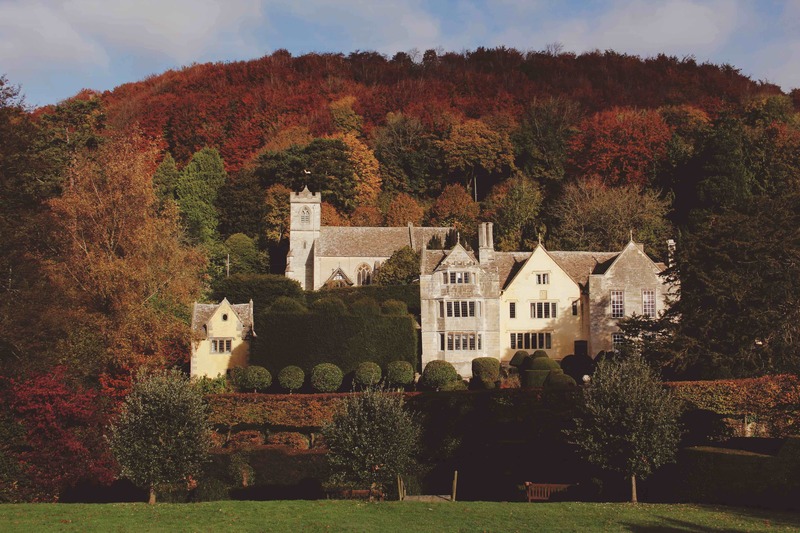 Scroll down to ‘Owlpen Manor 2019 tours’. To contact us directly, please either click here or contact the office on 01453 860261 and sales@owlpen.com. Thank you. 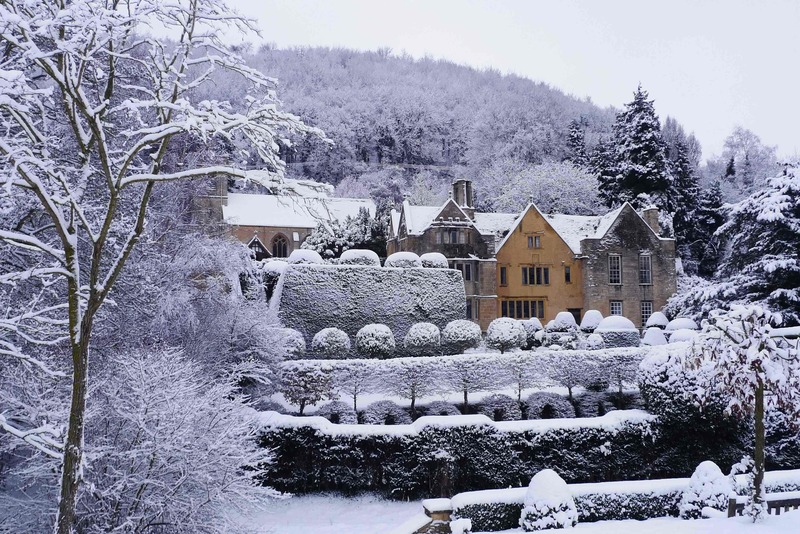 OWLPEN MANOR, home of Sir Nicholas and Lady Mander and their family of five children (and twelve grandchildren), has long been recognised as one of the most romantic Tudor manor houses in southern England. 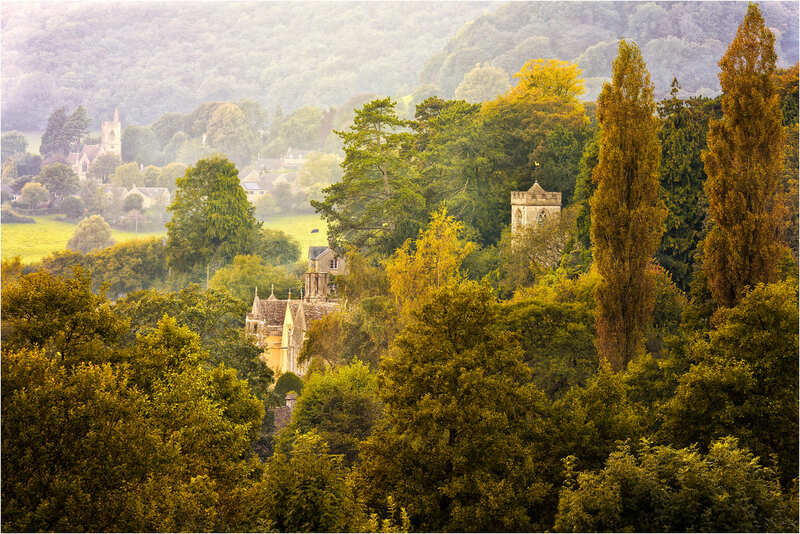 Set in a picturesque valley among bluebell woods right under the Cotswold hills, it has formal terraced gardens and magnificent yews of the seventeenth century. 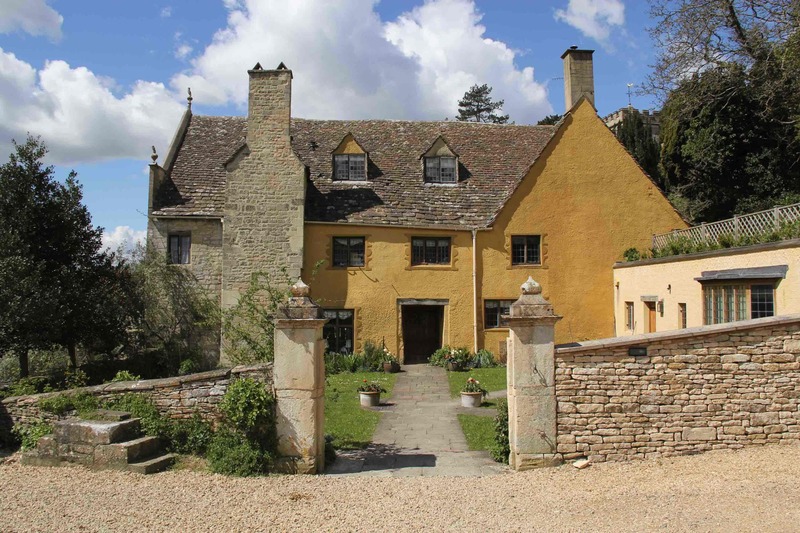 The house dates from 1450 to 1616, with careful Cotswold Arts and Crafts repairs of 1926, when the house was saved from ruin after over 80 years of dereliction. Today the interiors contain a series of unique painted textiles and Mander family portraits and collections, as well as a famous collection of Cotswold Arts and Crafts furniture and fittings. Magnificent Tudor Great Hall of 1523. Jacobean Solar/Parlour wing dated 1616. Elegant early Georgian Little Parlour and doorcase remodelled in 1719. The Great Chamber contains unique painted cloth wall-hangings with scenes from the life of Joseph and his brothers, dated about 1700. 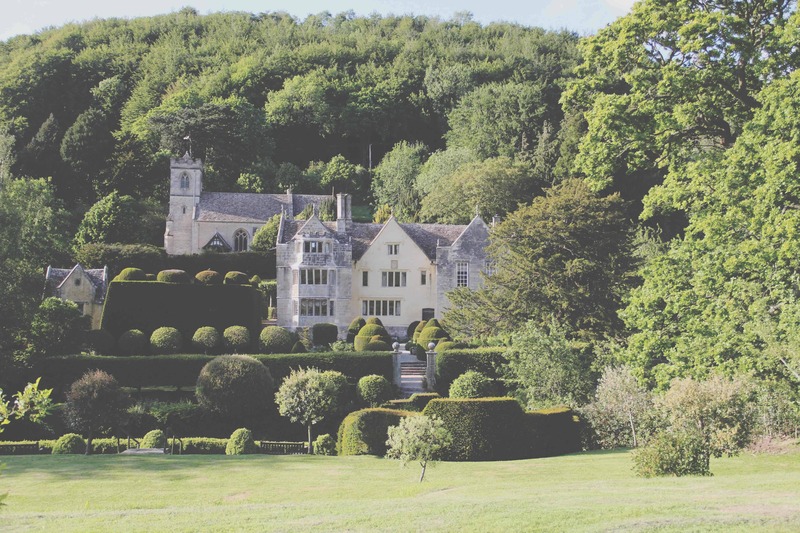 The manor house became a Sleeping Beauty in Victorian times, uninhabited and dwarfed behind enormous yews. 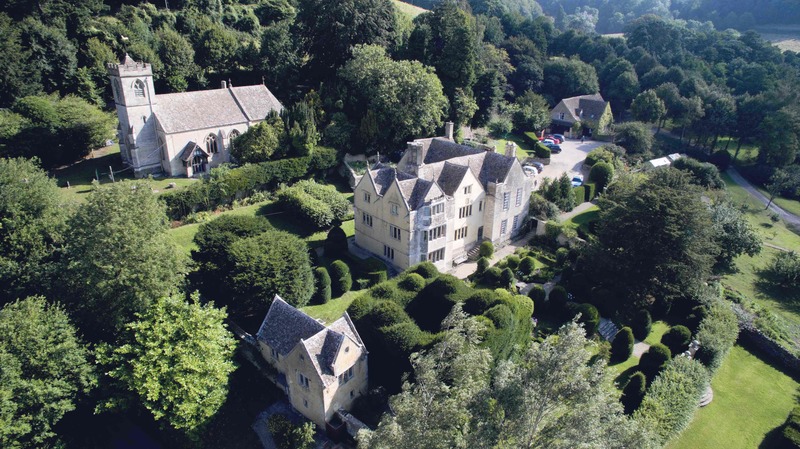 It was discovered by the poet Algernon Charles Swinburne who then wrote to William Morris to tell him of this great find, and the house was then finally rescued by the outstanding Cotswold Arts and Crafts architect Norman Jewson in 1926. Owlpen's breath-taking terraced gardens are developed around an early formal garden on a manorial scale. A charming hillside garden is set on seven hanging terraces of the 16th/17th centuries, with magnificent yew topiary, old roses and box parterres. The garden was reordered in the 1720s and is today a historic survival of great interest and rarity. The "Old English"-style garden was much admired by many of the foremost garden designers of the early 20th century, including Gertrude Jekyll, Sir Geoffrey Jellicoe, Vita Sackville-West, and latterly, Alan Titchmarsh. There is a circular walk around the early Georgian mill pond and lake, fed by seven springs, believed to represent the medieval stew ponds. The walled kitchen garden is a delightful feature whose produce continues to feed household and restaurant.